This was all just in a half hour. Do you ever have thoughts like these, over and over again, when you forget your phone?? It’s pretty pathetic how attached I am! Then after I got home I used my phone to take a picture of the list I had made so that I didn’t have to worry about losing it. FULL CIRCLE GUYS. 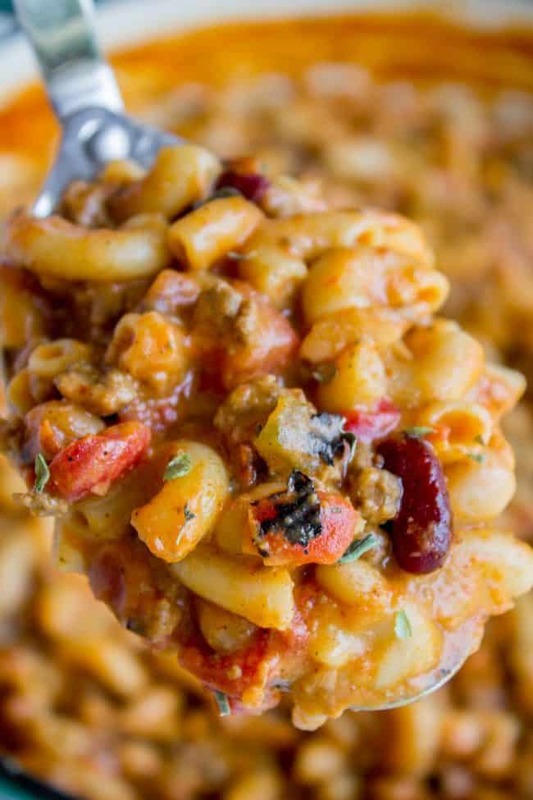 Have you ever made Chili Mac? It’s one of those easy ground beef recipes that every cook needs in the arsenal. It’s just a classic. I don’t know why it feels so classic to me, since my mom never made it growing up. (Speaking of classic. I saw a Facebook video the other day where people were talking about how it’s a thing to eat chili paired with cinnamon rolls. I showed it to Eric so that he could be appropriately disgusted, but instead he said, “Oh yeah, chili and cinnamon rolls every Friday for lunch at school growing up.” Whaaaa??? Well I’ll take some cornbread with my Chili Mac, hold the cinnamon rolls please. 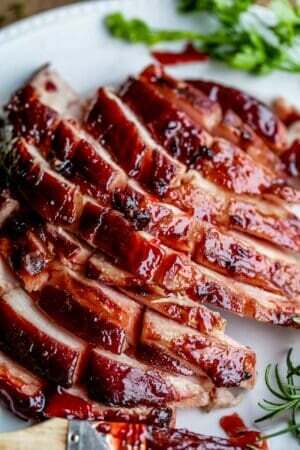 Do you see all that char? It’s a beautiful thing. It’s just from using fire roasted Rotel, which I highly recommend. 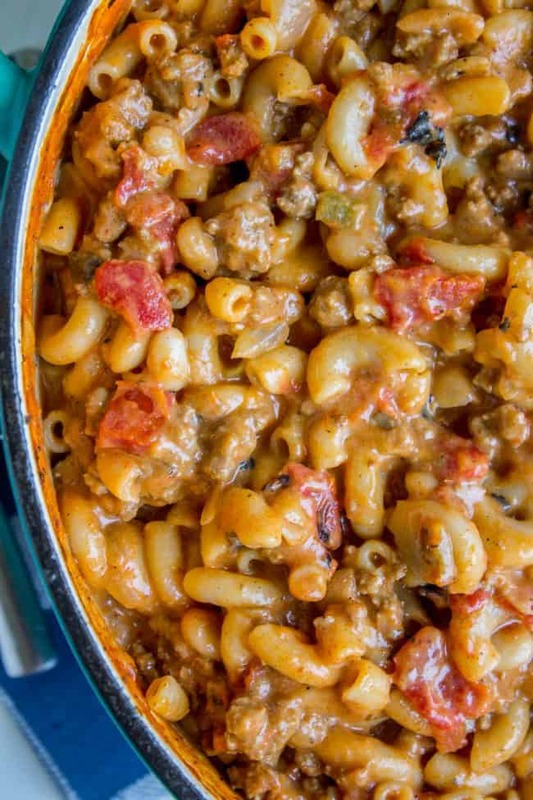 This Chili Mac would be great served with Reesy Rolls (One Hour Yeast Rolls). Flaky Buttermilk Biscuits would be great too! An easy to put together Spinach Salad would be delicious too, and would add something fresh. Three years ago: Easy Cheesy Ravioli Lasagna << back to school favorite! Heat a large pot over medium heat and add the ground beef, breaking it up with a wooden spoon. Add the chopped onion and continue cooking for 5-8 minutes, until the ground beef is no longer pink and the onion is translucent. Add the minced garlic and cook for 1 minute until fragrant. Drain the meat. (I usually do this by setting a colander over a bowl.) Return the beef to the pot. Turn the heat on to medium again. Add the flour, salt, paprika, smoked paprika, oregano, cumin, and chili powder. Stir it together and cook for one minute. Add the beef broth, Rotel, tomato sauce, and drained beans. (Don't drain the Rotel, add all those juices in.) Turn the heat up to high and bring to a boil. Add the elbow macaroni. 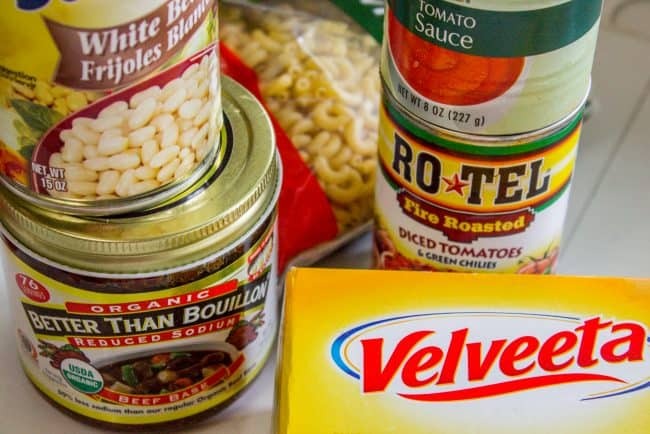 If you are using Velveeta, roughly chop it and add it in along with the noodles. Stir occasionally for about 8 minutes until the noodles are al dente and the Velveeta has melted. If you are using shredded cheddar cheese, add it after the noodles are al dente. Add the cheese and turn off the heat. Stir until melted. 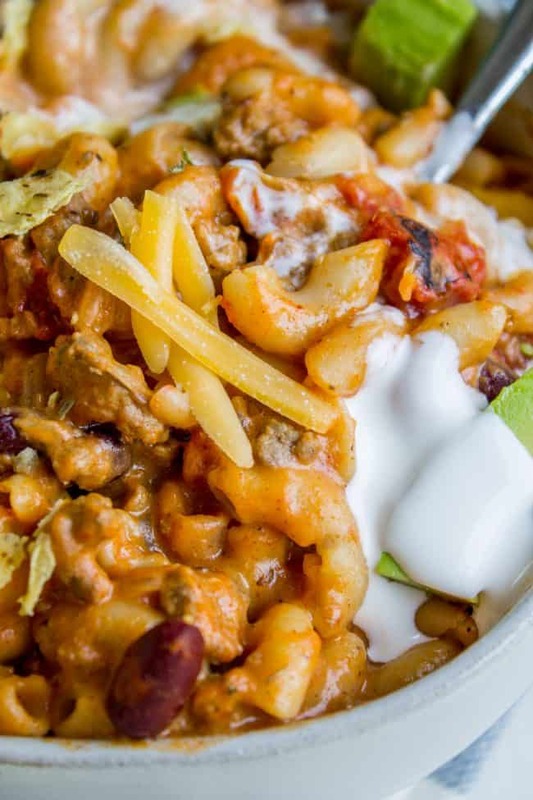 Chili Mac is nothing without the garnishes: crushed tortilla chips, sour cream, shredded cheddar cheese, chopped white onions, avocado...the sky is the limit here. *I love to use Better Than Bouillon Beef Base. 4 teaspoons beef base + 4 cups water = 4 cups beef broth. It adds so much flavor to soups. 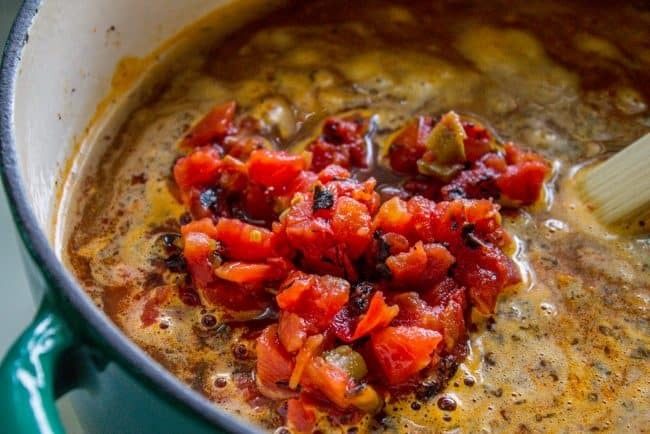 ** Rotel is diced tomatoes with green chilies. 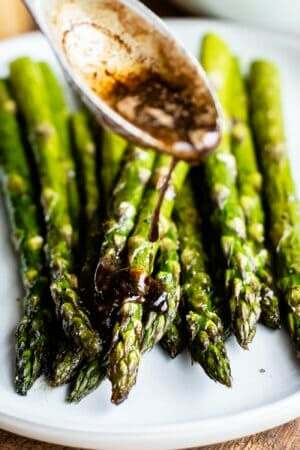 I love to use the fire roasted kind, it's so good! Don't drain it, open the can and dump the whole thing in. 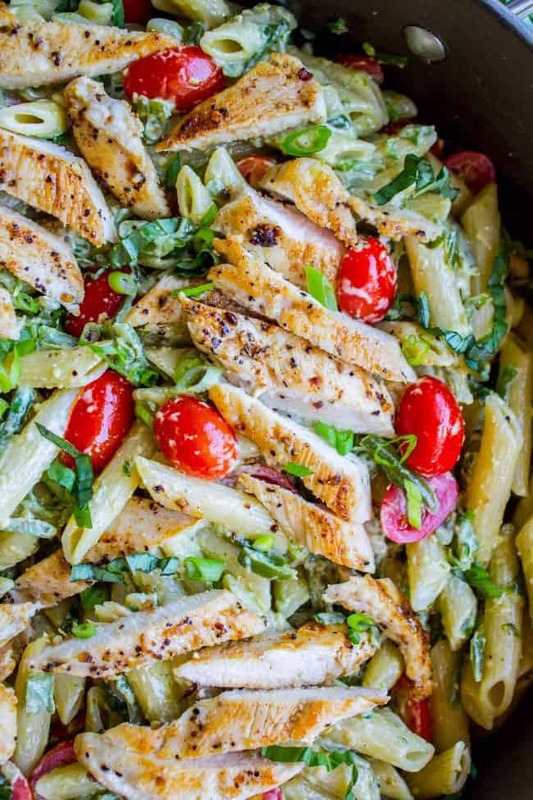 More 30 minute dinner ideas you will love! 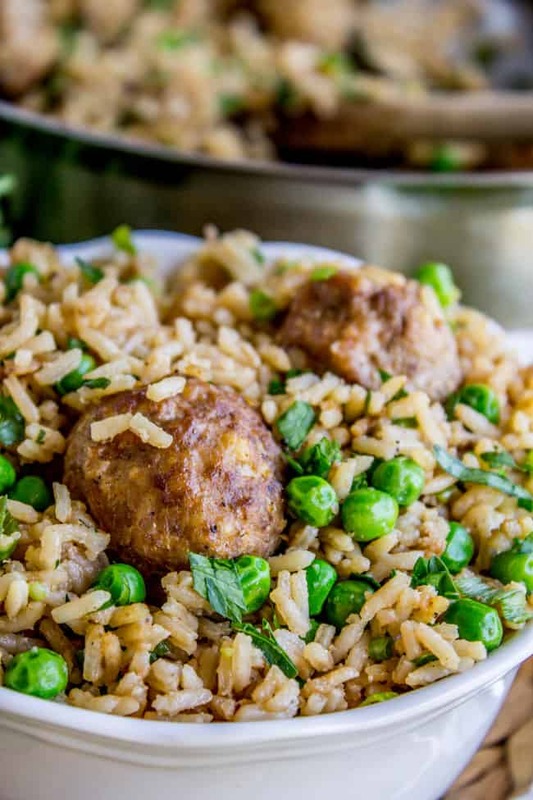 More 30 minute dinner ideas you are going to love! 30 Minute Beef Bourguignon from A Beautiful Plate << what!! I have to make this!! I made this tonight, and myself and my family love it! I used shredded cheddar, so mine was a bit more saucy than your photos. But I didn’t mind that because the sauce is so delicious. I will definitely be making this again…and again. Thanks for the great recipe! The cheesy sauce is so good, right? I’m so glad you and your family loved it! Thanks for coming back to comment! I’m so glad you liked it kt! I was making this for dinner when your comment came through :) Perfect Halloween night dinner! Thanks for the review! Yes, this was a perfect Halloween dinner! Glad we think alike ;) As for the chili paired with cinnamon rolls- I too have never tried that or heard about it being a thing. Another combo I heard about being a thing? Spaghetti and blueberry muffins… huh?! I don’t get it! I left the beans out and it was still good. Jennie thank you so much for your kind words! I’m totally blushing. I’m so glad everything looks good to you, including the silly stories I like to share! 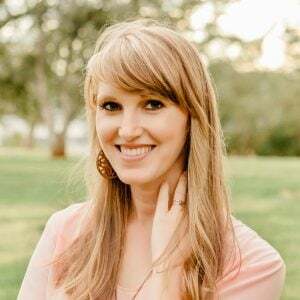 Storytelling is my favorite part of blogging. You will have to let me know which recipes you try out and how they turn out. Thanks again for reaching out, I love hearing from you! The flavors are so delicious and really only took 30 minutes! My only issue is the thickness of the sauce. It came out much more saucy than yours. I followed the recipe, so I’m not sure what happened. Yay! Getting dinner done that fast is the best, right? Did you use Velveeta or real cheese? 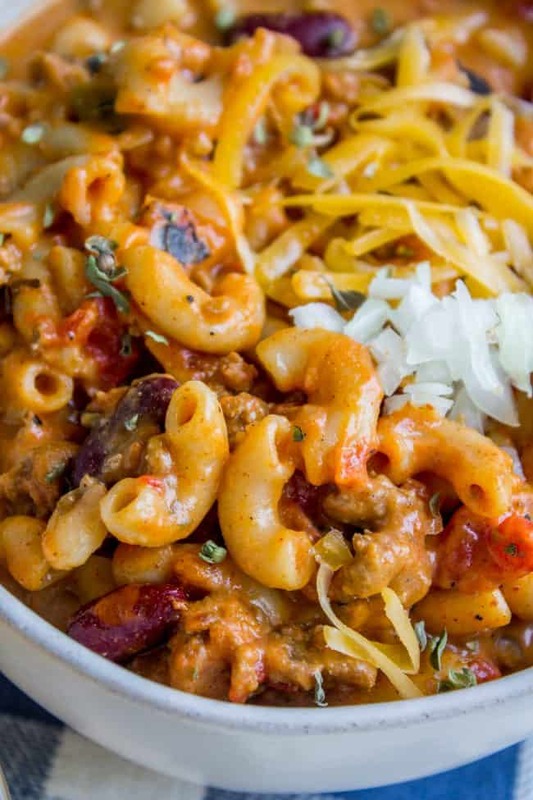 The photos show the chili mac made with velveeta. If you use cheese, it will not thicken up as much. Great question! I used Velveeta. It was perfect. After it cooled it thickened up. For the rotel, I didn’t drain it. Was I suppose to? Hey Brittany, no, I didn’t drain the rotel! 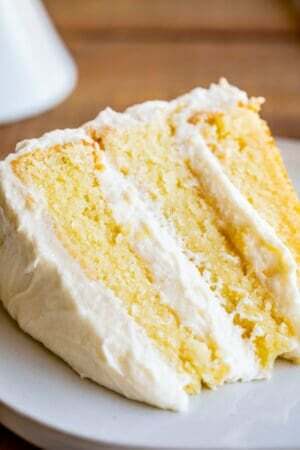 I will add a note in the recipe to make it clear. Thanks! 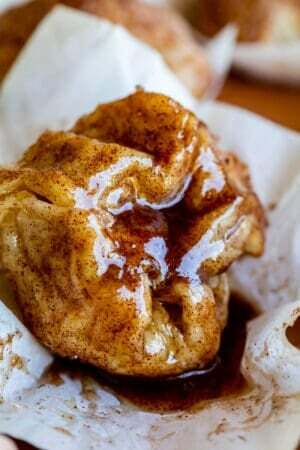 Cinnamon rolls with Chili was the best! I still miss it and never seem to thin to do it at home. Eric is right…every Friday at school. I thought it was weird when we moved to Montana, but it was delicious! 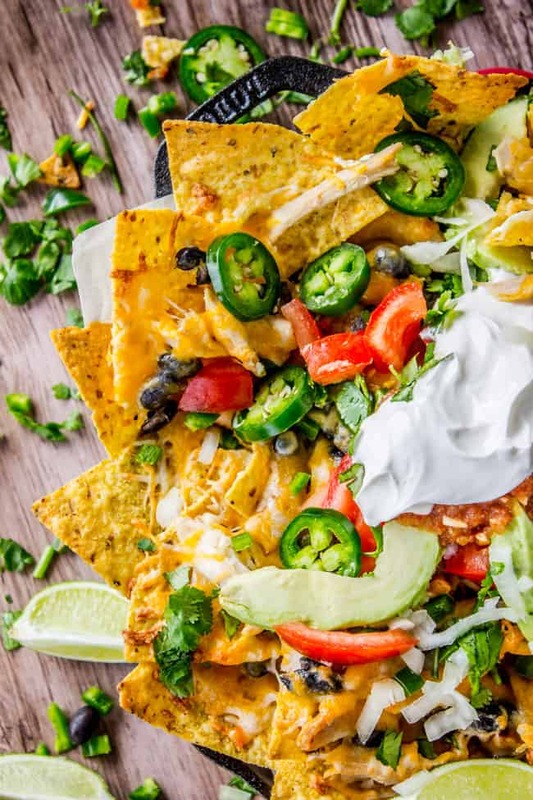 Can’t wait to try this recipe…I may actually get my kids to eat this! I did grow up on this and so have my children BUT we use the real ingredients like a box of Kraft macaroni and a can of nallys chili. 😉 I have never heard of chili with cinnamon rolls though, strange combo. hahaha only REAL ingredients for our family, right Mis? haha! Ha I am veeery speedy on social media so in 30 minutes aot can be done! I think it’s better spent making delicious dinners like this. 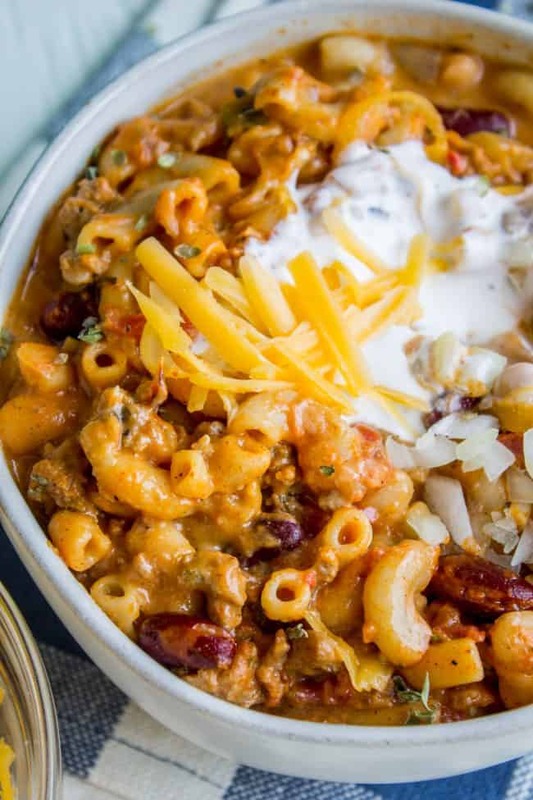 I’m fairly new to your site and am excited to try your chili mac recipe. How do you think this recipe would do if I halved it? It’s just my husband and me and I know we can’t eat that much. Or do you think it would freeze alright? Just wondering if you’ve tried either of those. Thanks! Hey Lynne! I think it would be easy to half, but kind of annoying. You would have half a can of tomato sauce leftover, half a can of Rotel, half a can of beans…you know? Here’s what I would do: Make it as is, but DON’T add the macaroni. Then add half of the chili mac to a ziplock and stick it in the freezer. Add one cup of macaroni to what’s left in the pot and follow instructions as usual to finish. Then when you want to eat what’s in the freezer, thaw completely, bring it to a boil, and then add the macaroni and cook 8 minutes. 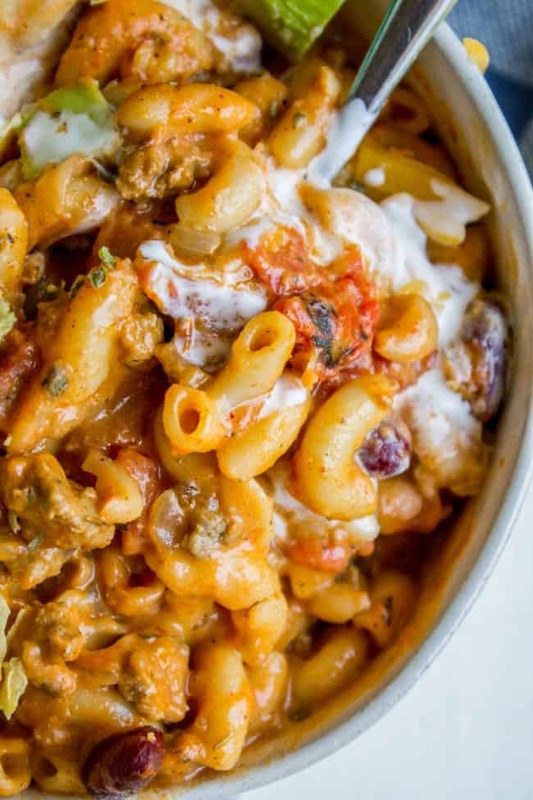 As far as the cheese goes, if you are using Velveeta, add it before freezing, if you plan to use fresh cheddar, I would add it after freezing after the macaroni has cooked. Does that make sense? Great question! Let me know how it goes!